It is not difficult to purchase a high quality spinning roller coaster. The well known Reverchon/Zamperla design can be found all over the world, with over fifty permanent installations and countless more on the fair circuit. Parks that want something a little more elaborate can turn to Gerstlauer and Maurer Sohne, both of whom offer proven products. There are even a small number of fairly respectable knock-off models available. 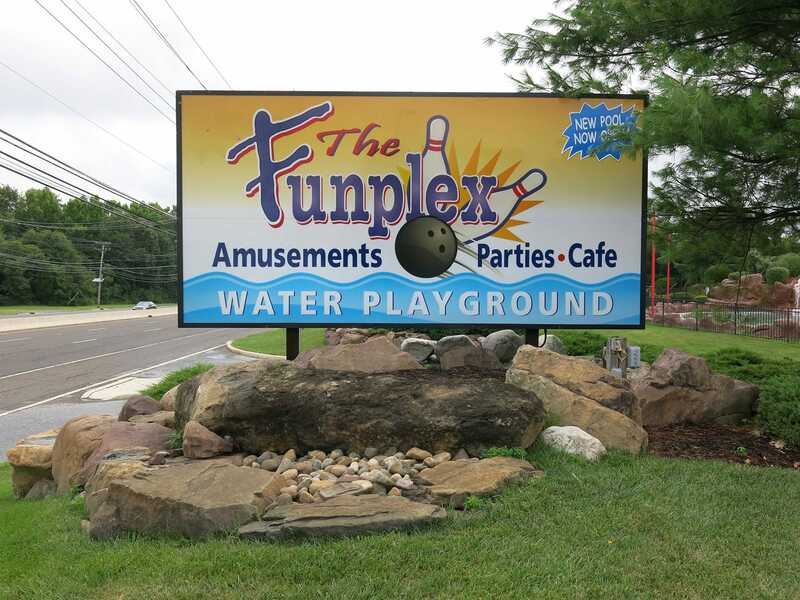 Given the wide choice it is difficult to understand why Funplex Mount Laurel decided to purchase their star attraction from SBF Rides, an Italian company whose first attempt at the genre was so bad that it only lasted four seasons. FunCoaster (#2097) was at least an improvement over that model, thanks to it having lap bars in place of the original heavy overhead restraints. Unfortunately, the ride quality was very hit and miss, with minimal spinning and cars that clattered around the track in a manner reminiscent of fifty year old Arrow mine trains. On the positive side, the straightening device on the brake run engaged smoothly with no slam at all, at least granting us the luxury of disembarking without bruising. My first visit to Knoebels Amusement Resort was eight years ago, some six months after the park had begun work on a replica of the legendary Flying Turns, a wooden bobsled coaster not seen since the 1970s. 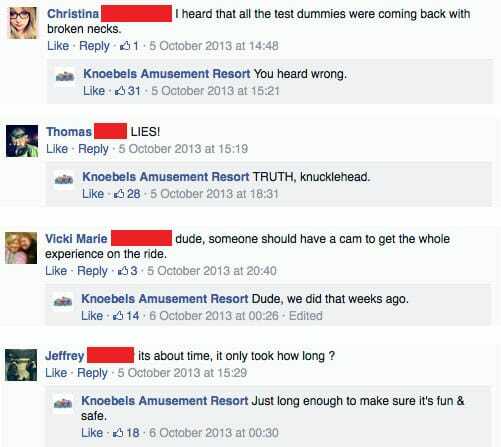 At the time nobody had any idea that it was going to be over seven years before the ride in question was ready to take paying customers. My trip report from 2006 lamented the fact that the ride was as yet unfinished, which seems almost comical in hindsight. When the ride finally opened at the end of the 2013 a large number of enthusiasts made a pilgrimage. It'd have been nice to join them, but my job had me on the other side of the world. Instead, I found myself reading numerous reviews that talked about the ride in glowing terms, notably a seven page feature in First Drop. As with all such things, however, an article just wasn't the same as first hand experience. The park has put a lot of effort into the overall presentation of Flying Turns (#2098), starting with a spoof of the TSA Pre check near the entrance for riders to check their weights, as a strict limit of 400lbs per car applies. 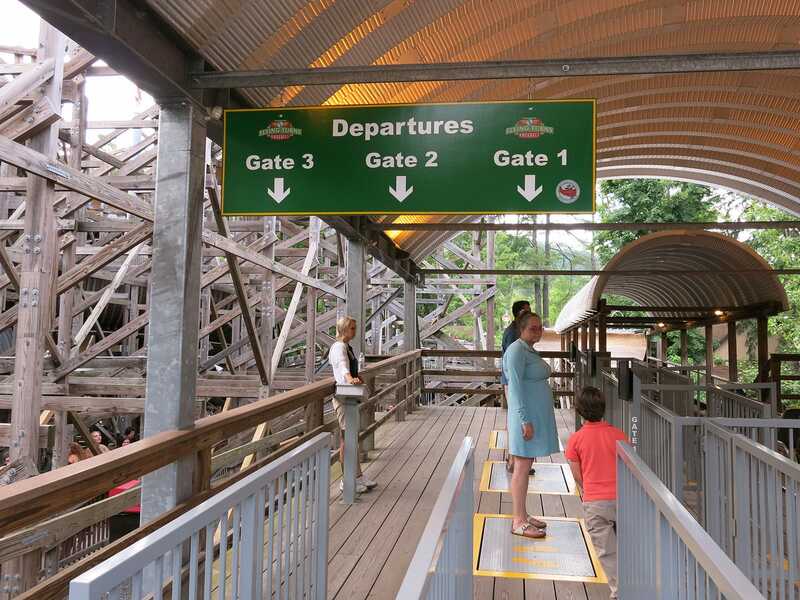 Numerous history placards adorn the queuing area, and the boarding platform has individual scales to ensure that the riders are distributed with the heaviest at the front and the lightest at the back. The on-board sensation from the "turns" is both unique and thrilling, as its three car trains swing from side to side far more than the modern equivalents. That being said, the layout is quite short, with the main section lasting less than thirty seconds. I'd have liked something about three times the length, though as Megan noted, we might have had to wait twenty-one years for that. We rode a second time but elected to stop at that point due to the length of the queue. We made a quick stop at Kozmo's Kurves so that Megan could get her credit. The ride was running well today with a modicum of airtime in places, albeit nowhere near as much as that on the late (and much lamented) High Speed Thrill Coaster. With that out of the way we stopped for a superb (and reasonably priced) evening meal in the Oasis Cafeteria near the front of the park. The standard of the catering was that of a good restaurant, well beyond what one would typically find in an amusement park. Following our meal we headed for Black Diamond, the relocated coaster that Megan had ridden at Dinosaur Beach in the late 1990s. My last report described this as a dark ride, and it really does feel like it shouldn't be a credit, but it is; there is a chain lift and a number of small drops, albeit with heavy braking. Megan was delighted to see the spinning tunnel at the end of the ride, which I gather was relocated from its original home. We enjoyed three excellent rides on Phoenix, which in so many ways is the perfect roller coaster, with fantastic airtime, no unnecessary seat belts, and buzz bar restraints. The ride was running very well indeed, with only a tiny bit of jackhammering on the double-up section mid course. We also completed a lap on the recently retracked Twister, a ride that would be a stand out coaster in any other park, but which somehow pales in comparison to its brother. The operator on the Haunted Mansion told us that we were heading into a very romantic ride with lots of darkness, making me wonder just what has been recorded by CCTV cameras over the years. We concentrated on the scenery and effects, which were excellent; there were a few that made me jump, notably a truck horn close to the end of the ride. I've often wondered what it is about haunting a house that compels spirits to install heavy vehicles; I've yet to come across a truck (or for that matter a train) in a non-haunted house. We were on our way back to the car park when Megan decided that we just couldn't leave without a ride on the Grand Carousel, an enormous ring-catch model with 63 hand-carved horses built by Kremer Carousel Works in 1913. It was interesting to hear an announcement at the end of the ride reminding guests that the rings were not souvenirs and should be returned; one wonders just how many go missing each year. Our trip visited a total of twenty-two states (Connecticut, Delaware, Illinois, Indiana, Iowa, Kentucky, Maine, Maryland, Massachusetts, Michigan, Nebraska, New Hampshire, New Jersey, New York, North Carolina, Ohio, Pennsylvania, Rhode Island, Tennessee, Vermont, Virginia, West Virginia) over sixteen days, and covered a total distance of 5,259 miles. We missed out on a total of five credits. The Looping Star at Keansburg Amusement Park and the Dragon Wagon at Indiana Beach were still under construction when we visited, and the Big Ohhhh! at Fun Plex, the Hoosier Hurricane at Indiana Beach, and the Wildcat at Santa's Village Azoosment Park were all down for technical reasons. 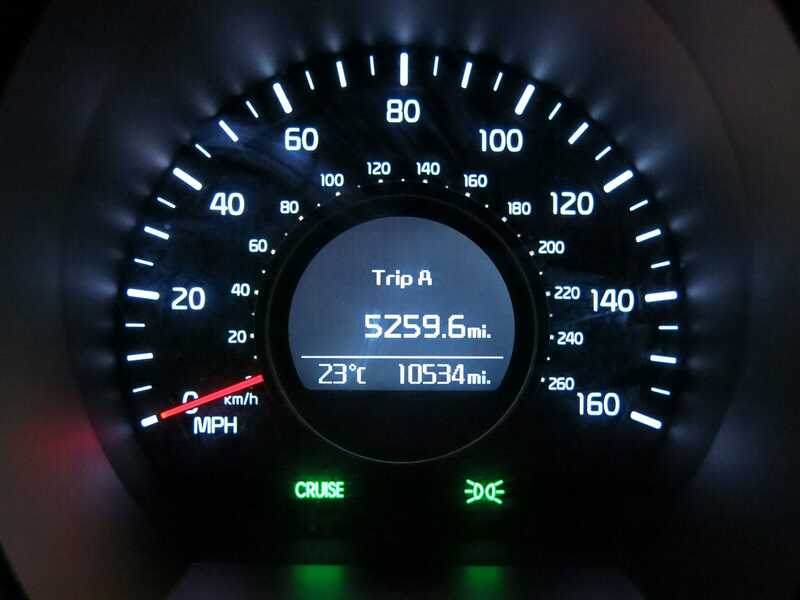 The final total was sixty-three new credits for Megan and thirty for me, a respectable number given how many times I've travelled around the eastern United States.